Being a compliance manager can sound tedious to a lot of people. When people think about compliance, they often think in terms of checking boxes on audit forms. However, compliance management is more like putting together a puzzle without having the cover picture. Compliance issues come from a variety of regulations and industry standards, often overlapping while sometimes being disconnected. What is a compliance manager job description? The basic job duties and tasks seem simple. Although not a complete list of duties, many of these interrelated tasks appear to be easily managed on paper. Unfortunately, in an ever-expanding digital world, they become cumbersome. What is the compliance manager’s role in IT? Legal requirements governing IT environments vary by industry. Thus, compliance managers need to know how to implement a variety of controls required by different governmental and industry standards organizations. 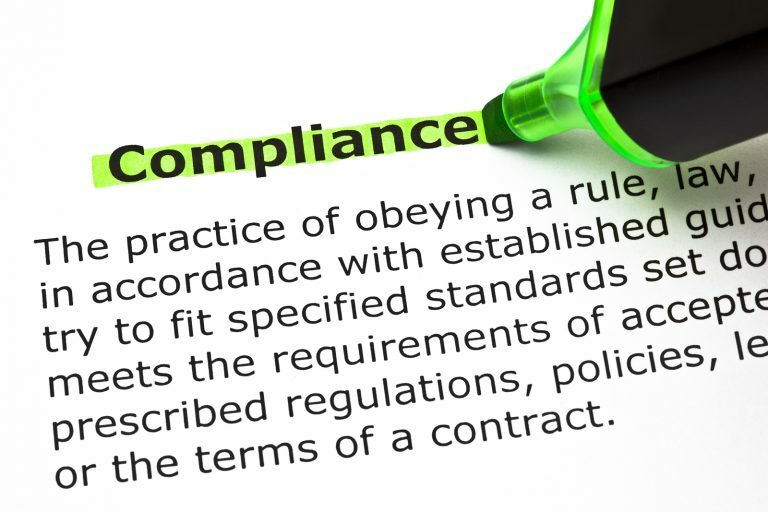 These legal requirements often incorporate fines and penalties for noncompliance making them a compliance management priority. For example, the healthcare industry focuses on the Health Insurance Portability and Accountability Act (HIPAA). However, many must still comply with the Sarbanes-Oxley Act of 2002 (SOX). This overlap of regulations requires strict attention since both regulations incorporate monetary penalties for noncompliance. Meanwhile, the Federal Deposit Insurance Company (FDIC) and the Federal Financial Institutions Examination Council (FFIEC) set out IT regulatory requirements for the financial industry. How are industry standards related to a compliance manager’s job? Unlike government regulations, industry standards do not always invoke penalties. Despite that, competitive businesses must meet the best practices these standards control. For example, the Industrial Standards Organization (ISO) established the ISO-27001 standard to develop controls over the IT landscape. Meanwhile, businesses that accept credit card payments need to comply with the Payment Card Industry Data Security Standard (PCI DSS). Although not a regulation, PCI DSS noncompliance does impose fines by the payment card companies. Additionally, many payment card companies will stop processing payments for organizations that do not comply with the security standard. How do compliance managers engage in program planning? Your compliance manager will look at the potential threats to data integrity, accessibility, and confidentiality. Then, she will look at the types of data stored, accessed, and transmitted throughout your IT environment. Finally, the compliance manager will determine the overall risk posed by a system, network, or software. After this, the compliance manager determines whether you have the appropriate controls in place to protect data. For example, workforce members may want to use customer data for their nefarious purposes in the same way that external malicious actors do. Thus, your compliance manager will ensure that your organization creates policies that govern internal access and authorization as well as ones that set controls such as firewalls, encryption, and other external threat mitigations. What are the struggles a compliance manager faces? A compliance officer wears many hats. First, she must be able to communicate with internal stakeholders. As businesses integrate more Software-as-a-Service (SaaS), Platform-as-a-Service (PaaS), and Infrastructure-as-a-Service (IaaS) to streamline business operations, they create more compliance issues. Therefore, the compliance officer must constantly communicate with all department heads to align product compliance with the vendor risk management program. Second, in a continuously evolving cybersecurity environment, the compliance officer no longer engages in once-a-year audits. Continuous monitoring and continuous documentation must occur to maintain continuous assurance over the compliance procedures. Third, information security requires internal investigation and remediation of threats. However, managing alerts and compliance issues can become overwhelming. To maintain a robust compliance program, the compliance officer needs to triage the different remediation and response tasks daily. Compliance officer jobs incorporate organizing a vast amount of information to protect businesses. Early business initiatives may require little compliance. Scaling the business means tracking multiple standards and regulations within your corporate policies and procedures. As such, spreadsheets become unwieldy. The time a security compliance manager spends engaging in spreadsheet review costs a company money. This cost increases during the audit process. When auditors request the needed documentation, the compliance manager needs a single location for obtaining it and communicating with the stakeholders. Automation streamlines organizing compliance activities across multiple standards and regulations, prioritizing alerts, and stakeholder communications.